The six Indus-system rivers flowing from India to Pakistan, with the main rivers (the upper three) reserved for Pakistan’s use. The Indus treaty represents the most generous water-sharing agreement in modern world history, reserving for Pakistan 80.52 percent of the waters, or 167.2 billion cubic meters annually. No other water pact in the world comes anywhere close to this level of upper-riparian munificence. In fact, the Indus treaty uniquely allocates entire rivers by drawing a north-south partition line to gift Pakistan the upper three Indus-system rivers, confining India’s full sovereignty rights to the much-smaller three rivers to the south. Yet this 1960 treaty imposes more fetters on the upper-riparian state than any other water pact in the world. An elaborate series of India-specific curbs obviate any Indian control over the timing or quantum of the transboundary flows of the Pakistan-earmarked rivers — the Chenab and the Jhelum (which boast the largest cross-border discharge) and the main Indus stream. Indeed, the treaty remains the only interstate water agreement in the world embodying the doctrine of restricted sovereignty, whichseeks to compel an upriver state to defer to the interests of a downstream state. Unfortunately for India, its already-limited sovereignty over the upper rivers is now being further crimped by a sweeping new principle defined for all future projects by the recent international arbitration award on the small Kishenganga project. This is a big price India is being made to pay for embarking on the long-delayed, 330-megawatt Kishenganga project, whose design and size, paradoxically, were changed and scaled down in 2006 in response to Pakistani objections. The treaty permits India to build only run-of-river plants — a type that generates hydropower without a reservoir by using a river’s natural flow velocity and elevation drop.Because of very limited water storage, such plants experience fluctuations in power output due to seasonal flow changes, making them less cost-effective than the larger, storage-centred plants. 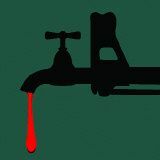 Pakistan has repaid India’s water largesse with blood by sponsoring acts of terrorism. The arbitration award represents a triumph of Pakistan’s efforts to reinterpret the treaty’s terms more narrowly so as to remove whatever leeway India may have and make the Indus regime even more lopsided. The recent award imposes a new condition on spillway configuration that would seriously undermine the run-of-river plants’ commercial viability by potentially allowing them to silt up, as happened with India’s Salal plant in the 1980s due to design changes carried out at Pakistan’s insistence. By precluding effective silt control through drawdown sluicing and flushing, the award flies in the face of the common international practice to build gated spillways. Indeed, the arbiters have attempted to override — without any legal power — an international neutral expert’s 2007 decision in the earlier Baglihar case that such spillway outlets were consistent with the treaty’s provisions. The spillway matter is a technical issue and, as per the terms of the treaty, it must decided by a neutral expert, not by an arbitration panel. Yet, overruling India’s objection, the arbiters chose to wilfully encroach onto the technical turf. International arbitration — with the arbiters and high-priced lawyers collecting millions of dollars in fees from the parties — often functions on the lowest common denominator. In the Kishenganga case, the panel, while upholding the legality of the Indian project, has tilted in Pakistan’s favour on the key design issue. And in an effort to further milk the two parties, the arbiters have extended the lengthy proceedings since 2010 to at least until this year-end, when they “hope” to give their “final award” on another issue that they have contrived — the minimum flow of water India would be required to release for Pakistan in the Kishenganga stream. Fixing a minimum flow rate will go beyond the terms of the treaty and tie India’s hands, even if climate change or hydrological factors were to affect the stability and predictability of the Kishenganga flow. Pakistan’s motive is clear: to deny the limited benefits the treaty grants Jammu and Kashmir by objecting and seeking to stall the modest-size projects that New Delhi has belatedly sought to initiate there to allay popular resentment over crippling power shortages. This motive springs from the Pakistani military’s continuing strategy to foment discontent and violence there. The arbiters have unwittingly played into Pakistan’s hands by going beyond the Indus treaty’s provisions on a crucial issue and thereby seeking to effectively arm Islamabad with a veto on any Indian project’s viability. India must blame itself for reaping the bitter fruits of a remarkable lack of strategy. It concluded the treaty, as its chief negotiator admitted, without any long-term assessment. 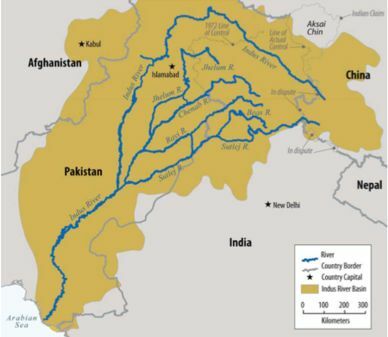 Despite a widening demand-supply water gap in its own Indus basin, India has yet to exercise some key treaty-sanctioned rights (such as on storage) but allowed Pakistan to drag it before international proceedings. How much longer can a parched but generous India remain visionless? Brahma Chellaney is the author of the award-winning book, Water: Asia’s New Battleground.